It’s easy to see the benefits of Federal Perkins Loan. A Federal Perkins Loan is awarded from funds given to colleges and universities by the federal government for their Perkins Loan programs. A Perkins student loan is generally awarded to students with a great deal of financial need. Those who receive federal Pell Grants are usually the first to receive Perkins Loan funds. The individual college or university determines the distribution of each federal Perkins Loan. To receive a Perkins Loan, a student must have demonstrated financial need, be enrolled at least half time, and meet all other requirements common to federal student aid programs. Those receiving a Perkins student loan may be undergraduate, graduate or professional students. How do I Apply for a Perkins Loan? In order to be considered for a Perkins Loan, you must submit the FAFSA application (Free Application for Federal Student Aid) by the deadline determined by your college or university. The information contained in the FAFSA will be used to generate a SAR (Student Aid Report) as well as an EFC number (Expected Family Contribution). Students who receive the lowest EFC numbers can generally expect to receive the greatest amount of federal financial aid, including Perkins Loans. Perkins Loans currently carry a fixed interest rate of 5 percent, making them one of the lowest-interest rate education loans available. The federal Perkins Loan is a subsidized loan. This means the government pays the interest on the loan while you are in school. Perkins Loans also offer a nine-month grace period after graduation before you are required to begin making payments. Students must repay their Perkins Loans within ten years, not including periods of deferment. 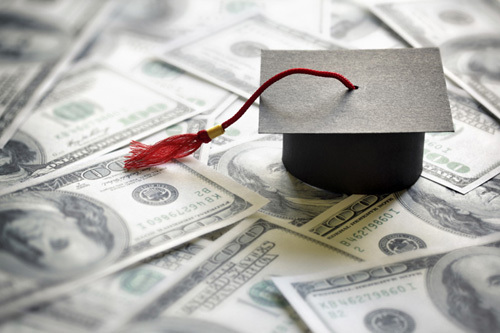 Students may request temporary deferment of their loans should they encounter financial hardship at some point after graduating or leaving school. Payment is made to the school rather than to the government or a third-party lender. Schools may request loan payments monthly, bi-monthly or even quarterly. The school may set a minimum monthly payment requirement. If you qualify for a Perkins Loan, the amount you will receive is determined by your college or university’s financial aid office. The Perkins Loan maximum for undergraduate students is $5,500 per year. Graduate students may be awarded up to $8,000 per year. The total amount any student can borrow in Perkins Loans is $27,500 for undergraduate students and $60,000 for graduate and undergraduate loans combined. Most college students require some sort of student loans to pay for their educations. Even if you believe you may make too much money, have too many assets or have parent’s who make too much for you to qualify for student aid, you have nothing to lose by submitting the FAFSA application. It’s FREE and you may even be surprised by the aid package you are offered.